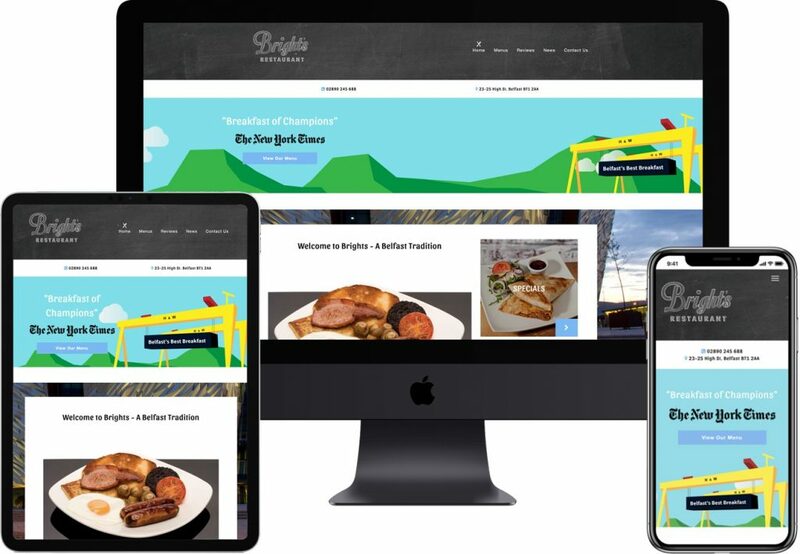 Bright’s is a Belfast tradition and Wibble were proud to team up with them to modernise their online presence. Bright’s previous site was one page and very dated in design. We created a brand new WordPress website for the client. We really wanted to show that Bright’s was a Belfast tradition and incorporated the Harland and Wolff cranes into the design along with imagery from around Belfast. We really concentrated on site speed and making the site mobile ready to help with browsing if searching for a restaurant in Belfast while out and about. To help customers, we made the menus readable without having to download a PDF and gave them the ability to promote weekly specials.